On December 1, 2005, the National Stock Car Racing Commission heard and considered the appeal of Michael Olsen, driver of NASCAR Grand National Division, Busch North Series car #61. The appeal pertained to a penalties issued by NASCAR under Section 12-4-A of the Rule Book “Actions detrimental to stock car racing” and Section 12-4-Q. 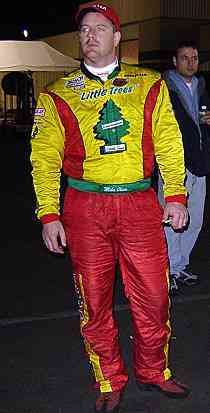 The penalties stemmed from post-race inspection at the non-championship, post-season NASCAR Toyota All-Star Showdown at Irwindale Speedway on November 12, 2005. 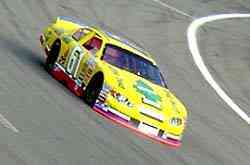 Prior the penalties, the #61 car was shown finishing in 1st place overall in the race. Thirty-first finishing position constitutes last place. The fact that the wheels failed to conform to the rules was not contested, nor was the fact that their installation was both intentional and premeditated. The Appellant argued that the infractions occurred without his knowledge through the actions of his crew chief. Furthermore, both sides characterized the driver as having an exemplary history of adherence to the rules. The Appellant argued that there is a general impression that NASCAR does not take away race wins for technical infractions. The Appellant also argued that the penalty was too harsh for the infractions. Testimony revealed that moving a race winner to last place, while uncommon, is not unprecedented. Given the magnitude of the event, the outcome of the race, and the nature of the infractions, the Commission did not find the penalties unwarranted in this case. Therefore, it is the unanimous decision of the National Stock Car Racing Commission to uphold the original penalty issued by NASCAR.